If your garden isn’t flourishing the way you had hoped, it might be because the soil is more acidic or alkaline than you realised. Different plants thrive in different types of soil, so it is important that you adjust the pH levels accordingly. A pH of 7.0 is considered neutral. Anything below that is acidic and anything above is alkaline. Perhaps you are just designing your new garden or are planting new bulbs or vegetables. Or maybe you have noticed that your lawn isn’t growing well or your foliage is yellowing. 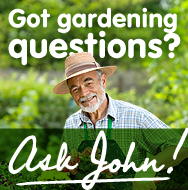 A kit from the garden centre will give you a good idea about the pH levels of your soil relatively cheaply and easily. Adding vinegar to a soil sample can also establish whether free calcium carbonate is present. If the sample fizzes, it is present. If your pH is between 3.0 and 5.0 your soil is very acidic. This means that many plant nutrients, such as potassium, magnesium and copper, are easily washed away, while many phosphates will be unavailable. If your pH is between 5.1 and 6.0 your soil is ideal for ericaceous plants such as rhododendrons, camellias and heathers. If your pH is between 6.1 and 6.9, you may not need to take action. The availability of most nutrients is at its highest at 6.5, with bacterial and earthworm activity at its best. Top tip: Adding lime can help to break up acidic clay soils. In soils with a pH of between 7.1 and 8.0, the availability of phosphorus, iron and manganese is decreased. This can lead to lime-induced chlorosis. One advantage of alkaline soils is that the chances of clubroot disease in brassicas (cabbage family crops) are reduced. Top tip: Sulphur, iron sulphate and other acidifying agents can be added to reduce pH levels. Proctors is an expert in lawn and plant care. Whether your soil is alkaline, acidic or neutral, we have the right fertilisers and turf products to ensure that your garden looks better than ever. Whether you simply have a small patch of grass or acres of space, we can advise on the best lawn care products for your garden and everything within it. Call Proctors today on 0117 311 1217 for more information and advice, or you can fill out a contact form and we will get back to you.